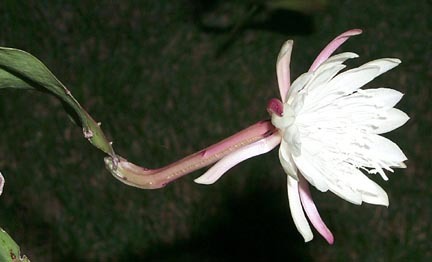 This Epiphyllum was given to me by Yu Ching Pan, a friendly person who enjoys growing Epiphyllums a lot. 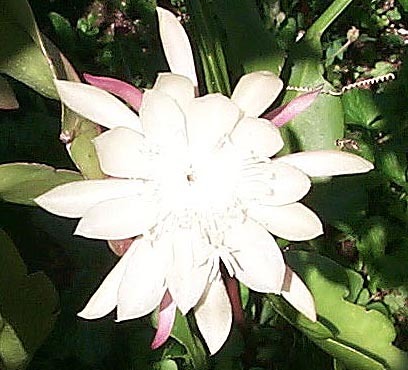 He told me, this particular kind would produce smaller flowers more frequently throughout the season than the E.oxypetalum. 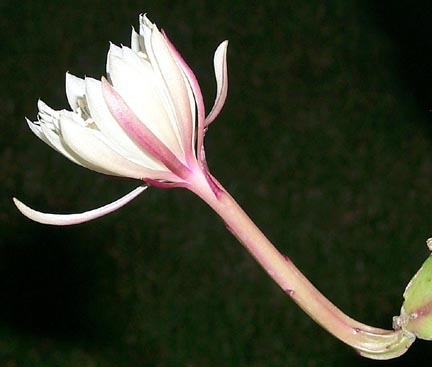 now lots of pads, this cute plant started to produce several buds. 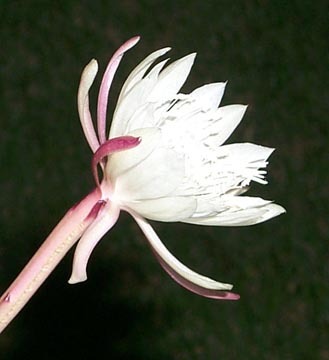 I was watching their progress, so I would not miss the event, since it is night flowering. So, here is one of the buds at about 6:30 pm. 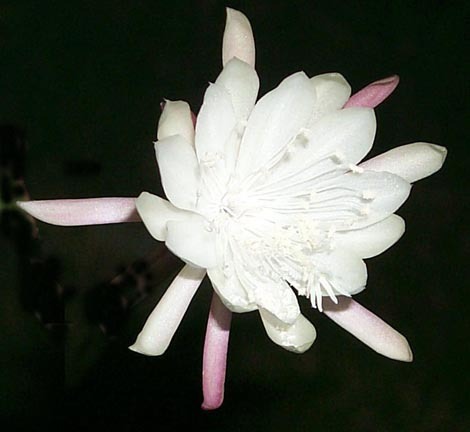 The flowers have the typical light and pretty scent of many white exotic flowers. Is somebody bottling this stuff? 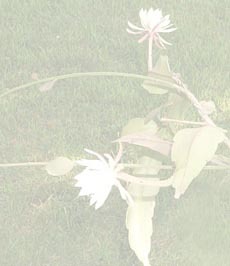 The flowers are not all that big, ca. 6-7 cm across with a tube measuring 8-10 cm. To my surprise, the flowers were still open in the morning! 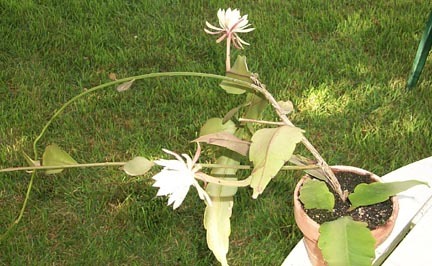 Here is another picture with a still open flower in full morning sun. If you look closely, there is a small bee sitting on the right side. Pollinator? Coming home from work, the flowers were closed.